Each year, 12 of the NFL’s 32 teams get a chance to play in the playoffs. Names like Aaron Rodgers, Peyton Manning, Tom Brady, Adrian Peterson, Wes Welker and Ray Rice punctuated the rosters of the 12 playoff teams in 2012. But for the other 20 teams and their players, the off-season began once that 16th game was finished. Unfortunately, what gets lost when the playoffs start is the performances of some of those players whose teams didn’t make the post-season. To honor those players on the 20 teams that did not make the 2012 NFL playoffs, I’ve created an honor to recognize the top performances from their seasons. In honor of Takeo Spikes, the San Diego Chargers linebacker who has now played 219 NFL regular season games without playing in the playoffs, I present the first annual “Takeo” Honors. These honors are presented to the players from non-playoff teams who topped the list in 19 different statistical categories. 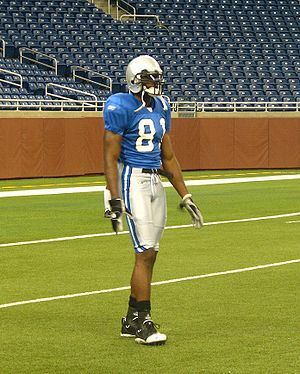 2012 NFL “Takeo” Honors Player of the Year: My selection for the Takeo Honors POY is Detroit Lions wide receiver Calvin Johnson. Johnson led the league with 122 receptions and tops our list with the most yards from scrimmage (1964) and all-purpose yards (1964). He broke the single-season record for most receiving yards and led the entire league with his 122 catches.